California, New York, admitted to practice in state and federal courts including the U.S. Supreme Court. Securities litigations, fraud litigations, government and regulatory investigations, internal corporate investigations, and complex commercial litigation including technology and health care cases. Bill Grauer is a partner in the Cooley Litigation department. He is resident in the firm's San Diego and New York offices. He joined the firm in 1998 and has served as co-chair of the firm's National Securities Litigation practice. He is an experienced trial and appellate lawyer and was previously given the Outstanding Trial Lawyer Award by the Trial Lawyers Association. Grauer is one of the few lawyers who has successfully argued in the United States Supreme Court, obtaining a unanimous victory. Prior to joining the firm, Grauer was a partner at Gray Cary Ware and Friedenrich. Prior to that, he was appointed by the Attorney General of the United States to serve as an Assistant United States Attorney handling Special Fraud Prosecutions in the U.S. District Court, Southern District of California. As an Assistant United States Attorney, Grauer was given special achievement awards by the Attorney General of the United States, the United States Postal Inspection Service, the Federal Bureau of Investigation and the United States Secret Service. In 2005, 2006, 2007, 2008, 2009 and 2010, Mr. Grauer was named to the Best Lawyers in America in the categories of Commercial Litigation, Derivatives Law and Securities Law. He was also recognized in Benchmark Litigation's 2011 legal guide and named in 2008-09 by Lawdragon as one of "The Nation's Top Securities Litigators." 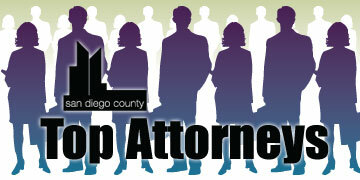 In 2006, 2007, 2009 and 2010 he was named by his peers as one of the "Top San Diego County Attorneys" in the category of Corporate Litigation, as published by The Daily Transcript. 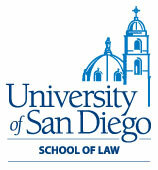 In 2007, 2008, 2009 and 2010, Grauer was named to the San Diego Super Lawyers in the categories of (1) Top 50 Lawyers, and (2) Securities Litigation. Grauer was recently selected by the Los Angeles Daily Journal as one of the top 100 lawyers in the state of California. Chair of the Federal Court Discipline Committee for the U.S. District Court, Southern District of California, 1988-2010; American Bar Association House of Delegates, 2008-2010 term; Lawyer Representative, 9th Circuit Judicial Conference, 2007-2010 term; Co-Chair IPO Litigation Subcommittee of the ABA Section of Litigation, 2005 – present; Former Chairman of the Ethics Committee of the San Diego County Bar Association, two terms; Former Chairman of the Federal Court Committee of the San Diego County Bar Association; Board of Directors of the Association of Business Trial Lawyers, 1998-1999.